Marching on through ENnie Nom-Nom Week (yes, I know, but I was delirious from exhaustion and hungry at the time, and now I just can’t stop myself), I figured I’d shine the light on a category that doesn’t always get its share of attention. The Best RPG Related Product category contains those things that folks were brave enough to take a chance on – something that isn’t, per se, directly useful for playing a game, but supports the hobby through fun information, or just goofy fun. The category also includes The ABCs of RPGs Activity Book (which could have also been attached to the Family Games category, I think). From the dawn of feature films, fans—be they artists, gamers, visionaries, writers, or dreamers—have drawn inspiration from the big screen. Now, between the covers of Cinema & Sorcery, embark on a decades-long journey through time from the earliest days of sword and sorcery films up to the present day. Learn the who, the what, the where, and the how of your favorite fantasy movies (and perhaps a few you may have never even heard of until now). Fifty films are covered in great detail, followed by shorter entries for every fantasy film we could find. 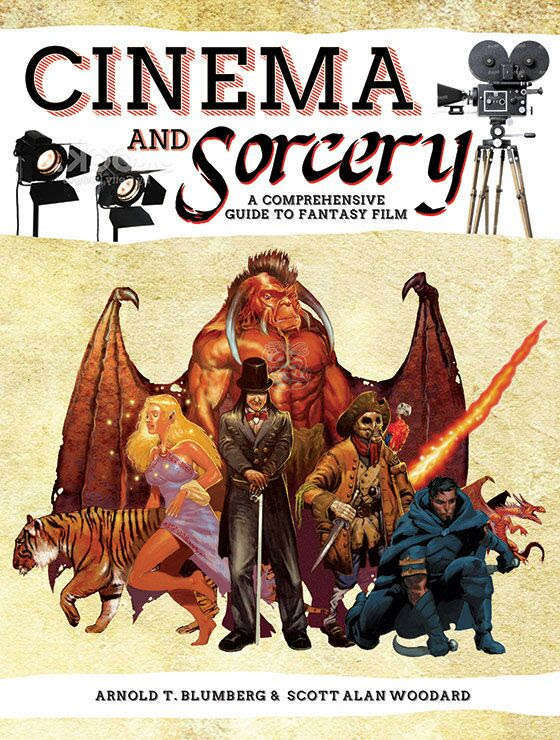 So turn up your Krull soundtrack, slip into your Labyrinth t-shirt, and brush up on your Princess Bride quotes, this is Cinema & Sorcery: The Comprehensive Guide to Fantasy Film!